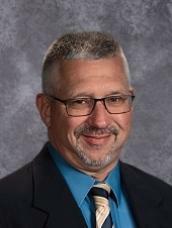 Mr. Trofimuk served as Knoch's Assistant High School Principal from 2002-2013 and has been the High School Principal since 2013. Mr. Trofimuk received his B.A from Bethany College, earned his Special Education Certification from Slippery Rock, his Principal Certification from Indiana University of Pennsylvania, his Master of Education in Instructional Leadership, and his Superintendent's Letter of Eligibility from Edinboro University of Pennsylvania. Mr. Trofimuk is a 1987 graduate of Knoch High School and has been a lifelong resident of the Saxonburg community. Mrs. Grantz began work in the South Butler County School District in 2008 as a teacher, coach and advisor. 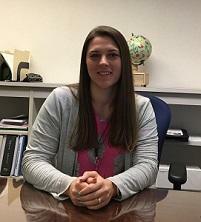 She became Knoch's Assistant High School Principal during the 2017-2018 school year. Mrs. Grantz received her Bachelor's in Family and Consumer Sciences Education from Indiana University of Pennsylvania. She went on to receive her Master of Education in Instructional Leadership and Principal Certification from Edinboro University of Pennsylvania.